Advances in satellite computational and communications systems have allowed smaller satellites to perform missions which could previously only have been accomplished with much larger and more expensive spacecraft. One enabling technology for these satellites is a scalable and efficient method of maneuvering the tiny vehicles in space. Existing propulsion technologies, which are deployed on larger class satellites, cannot be scaled down in size while maintaining their performance. One promising solution for micro-propulsion is called electrospray. This method of propulsion uses electrical energy to accelerate an atomized liquid propellant to produce thrust. Traditionally, this method of propulsion requires a needle-like structure to generate the electric stresses needed to spray the fluid. 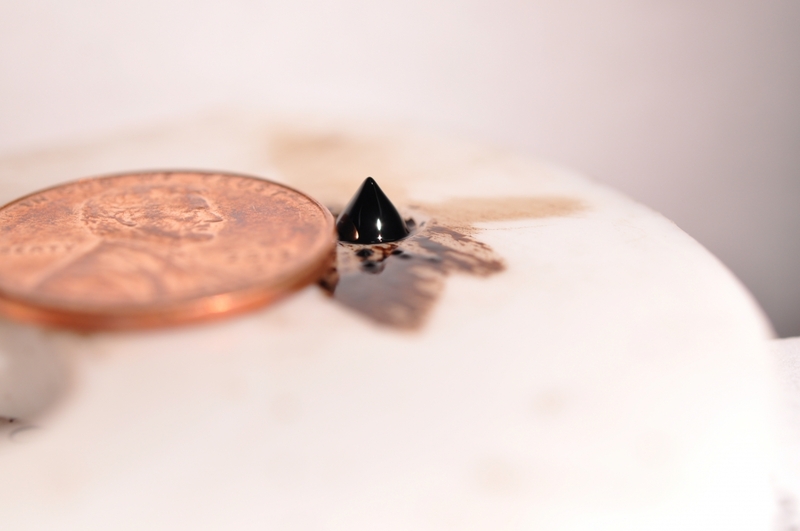 In 2012, members of the Ion Space Propulsion lab demonstrated a novel method of electrospray using ferrofluids. 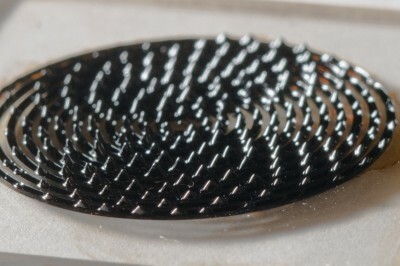 Ferrofluids are magnetic liquids that can be manipulated with the use of magnets. When these fluids are in the presence of a magnetic field, the fluid interface naturally deforms into a series of peaks and valleys, referred to as the Rosensweig instability. At the tip of these peaks, the electric field is amplified and electrospray emission can be achieved. The result is a thruster composed of many small peaks – each producing a jet of ions – that assembles itself out of the propellant. Michigan Tech has a pending patent for this ionic liquid ferrofluid propulsion technology. Although ferrofluids are not a new technology, the development of a ferrofluid that has all of the properties required for use as a spacecraft propellant is new. Such a fluid was first developed by Dr. Brian Hawkett and Nirmesh Jain at the University of Sydney in Australia. Michigan Tech and U. Sydney are collaborating on research to produce a marketable thruster from this technology.